FICO, creator of some of the most widely used credit scores in the U.S., will reportedly announce a new scoring formula designed to help high-risk consumers access credit, the Wall Street Journal reported Wednesday. The model will incorporate consumers’ payment history on things like utility, cellphone and cable bills, in addition to how often a consumer changes addresses. Some consumers may have already been affected by the new score, which has yet to be named. FICO says it has been working with 12 credit card issuers, which were not disclosed in the Wall Street Journal report, to test the new score in lending decisions since November. The score is expected to be offered on a national scale by the end of the year, which will give lenders the ability to reliably score an additional 15 million consumers, according to FICO. This announcement raises many questions about how the score will be used and how it may affect consumers who already have credit scores. FICO did not immediately respond to requests for comment from Credit.com, but here’s what we know so far. 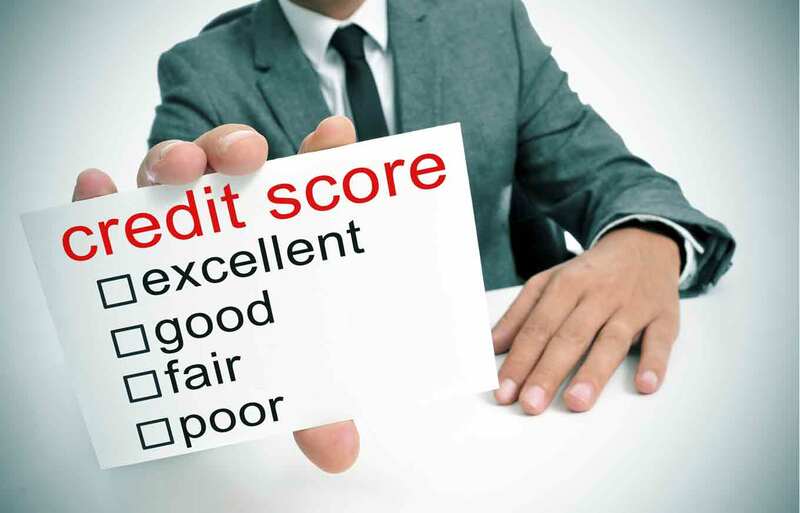 Payment history with cable, cellphone, electric and gas bills generally aren’t reported to credit bureaus and aren’t traditionally used in credit scoring models, but they are the basis for the new FICO score. The payment information comes from an Equifax database of telecommunications and utilities providers. The score will also factor in how often a consumer changes addresses, in addition to other data included in a LexisNexis database that has yet to be described. Frequent address changes suggest instability, according to the Wall Street Journal article. So far, 10 credit card issuers have used the score, but it’s unclear how many and what kind of creditors will adopt the new FICO score. It may be of interest to many lenders, because it presents the opportunity to grow business and, as a result, make more money. Perhaps some of the biggest unanswered questions are how many cable, cellphone, electric and gas companies will report this information and whether or not it will impact people who already have scores through traditional models. For years, experts in the credit scoring industry have talked about the value of adding things like rent payments and utility bills to credit scores as a way of giving more people access to credit, but FICO has mostly stuck to its traditional formulas (rent payments do not seem to be included in this new model). The changes reported by the Wall Street Journal represent a huge shift from FICO, but how much it will impact the credit marketplace remains to be seen. Last Tuesday my wife noticed a 52 point decline from Equifax while TU and EX increased. We have been baffled for a week of how and why this happened. This new scoring method by Equifax is the only explanation. Thanks FICO. So for those not aware, be sure to pay utilities on time and carry no balance. I doubt you are seeing the new score. If I were in your shoes, I’d get a copy of the actual Equifax report to make sure there’s no erroneous information that has been added. Guarantee it’s not the new score and is either something new on EQ or something that isn’t on EQ that is helping your TU and EX scores. The new model won’t be used on those that can achieve a normal “FICO” score. This is only for those that have not established credit via the normal means of Credit Cards, Auto Loan, Mortgages etc. If you have never had these and need to move into a place no credit score would generate. That is who the new score is for which for the most part won’t be people reading a credit website since they don’t use credit at all. I agree with Lil25, we are in the military and therefore, we move A LOT! Why should we be punished because we rent and move frequently? As someone else said above, these are scores for people who don’t already have fico scores so this will not impact you…this is what the credit industry refers to as non-traditional credit. HOW UTTERLY STUPID! Rent payments are ignored but UTILITY payments will be scored. Yeah that makes a hell of a lot of non sense. When is CONGRESSIONAL oversight going to get off their dead asses and monitor what FICO is doing to the American Public. This is what I want to know. Why isn’t congress acting to stop this craziness by big banks and Fair Issac Corporations stupid scoring system. They also have changed the scoring from like 300-650 up to 300 to 900 something to purposefully lower your score. So if 650 was considered average or good, today it isn’t considered very good. They keep pushing the numbers up so they can hit everyone with huge interest rates. They can never leave well enough alone! This is a horrible idea on so many levels and is definitely bad news for the average person who has to rent and has no choice but to move because of ever-escalating rent costs and greedy landlords. Now if a landlord gets a wild hair up his rear about anything, he can mess with your credit. Utility and cable companies are already impossible to deal with and this will make it worse. Are they going to make them stop forcing us to pay ridiculous deposits? Don’t bet on it. This will open a pandora’s box of problems and Credit.com is painting a picture that this is a wonderful thing??? You’ve got to be kidding. what is going on? now our lives our being taken over, by yet another stupid fico score? how is it that we, the consumers do not get to take a vote. somebody else does all the work for us. soon, we will all be a bunch of robots trying to get another fico score up to par. when will it all end? oh i know, when we DIE! Read my new comment, I think you are right about the dying part. This is a big deal and one of the most major overhauls to credit scoring in a while. I’m eager to see what happens – whether this becomes widely used, whether there are straightforward ways for consumers to check the data being used, etc. Don’t really like this idea, sometimes I have to push my very high electricity bill back a week or so after it;s due, but I have worked hard to get my credit score to above 700, why should I penalized because I pay my electric bill a few days late, but pay it in full every month? Unfortunately the data inputs to the FICO scores are objective statistics and are not meant to punish individual people. So if statistics say that people who move frequently are more likely to default…… the FICO score takes that into account. Unfortunately there is no way to get qualitative data such as the reason for the frequent moves into the equation. If statistics would indicate that people who like vanilla ice cream are more likely to default than those who like chocolate, guess what would happen to all vanilla ice cream lovers? Why should factors that may have other reasons be figured into the FICO scores at all – the only thing of interest to them should be credit history. The rest is just bull. They could just add a factor for evictions or being behind on rent instead of just a generic number of how many times you moved. CREDIT SCORE using revolving credit and house payments and the such. No a freaking utility bill or phone bill. I understand the need for a better scoring model, but us renters tend to move around a bit and it doesn’t always represent instability. It has never made sense to me that utilities and medical expenses only report when negative but you don’t get any credit for handling these expenses responsibly. We have far less opportunities to report successes, so it’s unfair at the start. If instability is what they are looking to measure, then calculate employment and education into the model instead, and assign a risk factor based on skill set and job industry trends. 3 moves within 20 miles with 1 steady job should not = instability. Renters are always getting screwed on the credit end when realistically, we pose the LESSER RISK, as we have more flexibility to relocate for work, upgrade or downsize as needed. JCRod I completely agree. Rental rates have gone sky high in this country and many people have to move every year or so due to outrageous increases in rent. Your forced to have to move to a place that you can afford. Now we are going to be penalized for it. We really do need to petition congress to stop some of this nonsense. This will hurt millions of multi residential property owners who cannot put utilities in the names of renters! I own 11 properties in Ohio and it is illegal to our certain utilities in renters names. I am most often late paying these because of late pays from a few renters…but they do get paid. Then there are those times where I have to go to court to collect said payments. Why should my score be affected by this??? The medical bills being added to affect scores was bad enough!!! When ppl can’t work yet have past due medical bills — that should be illegal to be on ones credit report! Now this! Again, this is why the wealthy get wealthier and the hardest working middle class in history are slowly becoming poorer! Making six figures is nothing these days! It just puts one in a higher tax bracket and makes one subject to all types of nonsense ways to pull just one more penny out of us!!! So sad!! Many people who do not have a credit score, do not want one. When I worked in retail, many consumers paid cash only, and spoke about how they paid cash for everything and didn’t believe in owing anything or debt. I can imagine quite a fee of these people not being happy to learn they are suddenly being tracked another way. Also, It’s baloney to say it helps people get credit, when there already exist credit cards for those with little, no, or bad credit. But, then again some folks don’t want one. In regards to rent, there’s already exist mechanism to check for evictions, without having to put everyones rent history on credit reports. All this feels like an invasion of privacy. I have good credit, but don’t want every little thing tracked about me. We wrote an article on that topic: Could Paying Off Your Mortgage Hurt Your Credit? I move around very often rarely spending more than a year in each place I go. My credit is excellent as it should be. I will be very upset if that changes. How could my desire for travel hold more weight than my responsible nature? There are many people who have to move frequently, and it has nothing to do with instability. This should not factor at all in the score. I have a “problem” which must be common for older people. It effects my credit score and I have no idea how to do anything about it. I recently paid off my home mortgage. After 15yrs of good payments the bank changed my status to “account closed”, which of course is true. On my credit report the length of history dropped from 15 or 20yrs to nothing…. I have recently acquired several credit cards, which I have no need for, in order to rebuild the fallen credit score, but regardless of how good the payment record is for the last 6 months (and because of several “recent inquiries”) my score remains only acceptable. Did I and do other seniors get screwed just because we no longer have a mortgage? This does not seem right! I also took out an auto loan, for which I did get a good APR, but that effected my debt to income ratio in a negative way. Seems like you cant win in my situation. it seems to me like we cannot win. i don’t care how we pay our bills or apply for credit, we get screwed. if you apply for credit, you lose -15 points on your fico score. if you pay anything off, including mortgages, you lose points on your fico score. as i said before, what do we do? oh i know, don’t use credit or we die! I don’t understand why you would penalize those who move a lot. We have had 4 residences in the past 7 years, but that included two 3-year residences. We moved from one house (that we’d been at for 3 years) because we moved across the country for a job. Moved from the next (that we had been at for 3 1/2 years) because our landlord was foreclosed on. Moved from the next because we again moved across the country for a job…which brings us to where we are now. Also, will this scoring model take into account multiple variations of the same address or will each of those hurt our credit score as well? I think reporting on time rent payments would help people who are rebuilding their credit, but moving a lot should not be held against you. I have moved a lot in the last 20 years and it not because I could pay my rent. Usually it was to move for a job or better housing or rent. I believe the Feds need to step in and make some changes. I would like them to at least standardize the statue of limitations for debts instead of different times for 52 different states. There is more they should do, but that would be a nice start. If you have questions about the new score, I’d love to hear them as I continue to follow up on this story. this is to say that the new data listed is “alternative data” only? I think you might need a major update to this story as well. Christine DiGangi, there was a time when I was younger that medical debt was never put on your credit at all. It was not used as a factor in considering your ability to pay on a loan or default because medical illness is unpredictable and so many people didn’t have health insurance. In addition if you do your research you will find that the scoring system has been changed over the years to force or drag peoples score down. For example: 300-650 would have been the score many many years ago, and anyone in the 600 range was considered good. But today they have upped that number to 900. So now your 600 score is considered marginally bad. It is the Fair Issac Corporation who are owned by the banks and the credit bureaus who are owned by the banks who are pushing to make these changes as time goes by so that more people get trapped with a credit score that allows banks to charge more fees and higher interest rates. They whole thing is rigged. I want to know what our congress representatives are doing about this. I really do. It is time to stop this. The big banks were given huge amounts of money from our Government with the intention of opening up loans for people. They never did. They sat on the money and still didn’t lend out to people. This is greed like I have never seen before. Now they are going to use how many times you move as a way to drag your score down again. ….another exploitive way for the money mongers to stick it to the average working people of america! onward and upward for the cretins on wall street!! I don’t think it’s possible that you saw this score – it’s only in test mode at this point. What source are you using to monitor your credit score? I think this is a great idea. Many people are in suh dire straights but still able to pay an electric bill. From what I have read if you are looking for an auto loan some banks will use the new FICO score. The really bad thing however is most of your big banks and credit unions don’t even use FICO at all. They use their own in house scoring system. Many of the banks will use your medical debt against you anyway, so don’t get too excited here folks. There is supposed to be some action taken in congress with the problems of banks using medical debt against people. Since the crash of 2008 and many people who have been hit hard by illness and medical expense it is very difficult to get out from under it. The problem with medical debt is there are no firm rules or guidelines. There many errors by hospitals and doctor offices pertaining to medical bills, a lot of times disputes about bills that have already been paid by insurance that end up getting stuck onto a persons credit report. A person is helpless to get these removed and the credit bureaus will not take this into account, nor do they take the word of the average person. They will only listen to a debt collection agency and not you if you have a dispute and or being billed for something that has already been paid. I wish that Elizabeth Warren and others would do more to stop the sleazy practices of these collection agencies and doctors who try to get around medicare amounts by overbilling the patient. Anyway, this isn’t really going to do much for anyone. In fact from what I am reading your going to get dinged even harder if you move a lot or have any sort of issues with utility bills. Sad state of affairs that we are in in this country where we allow the wealthy banks to run roughshod all over people like this. They get away with stealing peoples money, do no jail time for it and turn around and judge us individually in the harshest way with credit.